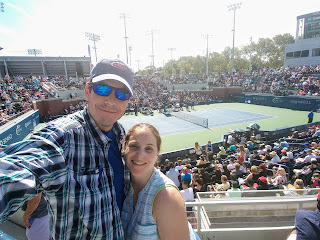 Shira and I just got back from our now yearly pilgrimage to the middle weekend of the US Open. While I may kvetch before, during and after the event (you try sitting through 30 hours of tennis and tell me you don't get a little testy! ), we really did see impressive tennis. 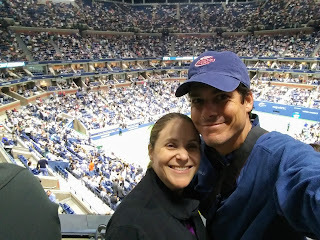 Some highlights include: watching Isner serve up 137mph serves; watching Dolgopolov play, in his own words, the best two sets of his life; rooting for Americans Venus Williams, Madison Keys and Coco Vandeweghe, the latter of which won an impressive 3 setter against Radwanska; watching our beloved del Potro dispatch Agut with confidence; watching Mayer fight of *14* break points against Rafa Nadal; and of course watching the Greats Rafa Nadal and Roger Federer do their thing. Rafa was especially entertaining, as he was visibly frustrated with dropping the first set in the two matches we watched. He was acting like the game was slipping away before him, when in reality was just warming up to utterly decimate his opponent. 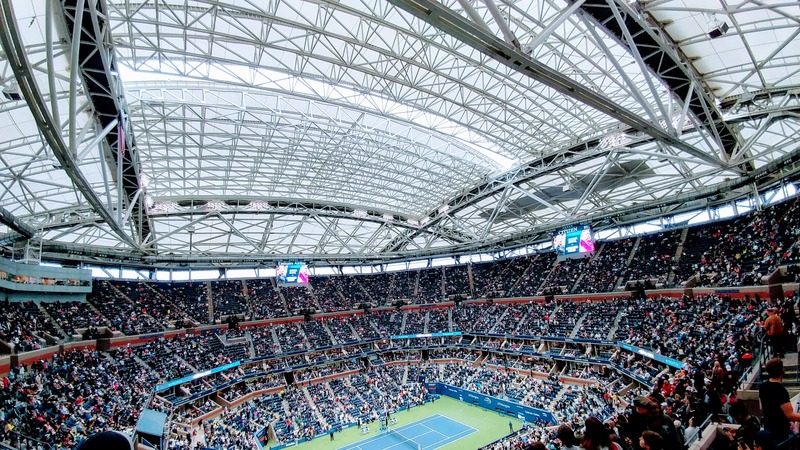 This year the weather was perfect, with cool days and rain only on Saturday night, which didn't impact play thanks to the roof on Arthur Ashe. I also brought along an inflatable sit pad, and man, did that make long hours of sitting on metal benches more pleasant. The food was so-so this year. There's an obvious attempt to have fancy shmancy food offerings, but ultimately, the food is made and sits around. This just isn't a great recipe for success, and made for less than stellar pizza and grilled cheese. The pickled daikon raddish covered fries from JoJu was a hit, and of course so were classic waffle fries and Ben and Jerry's Ice Cream. Nobody went hungry. 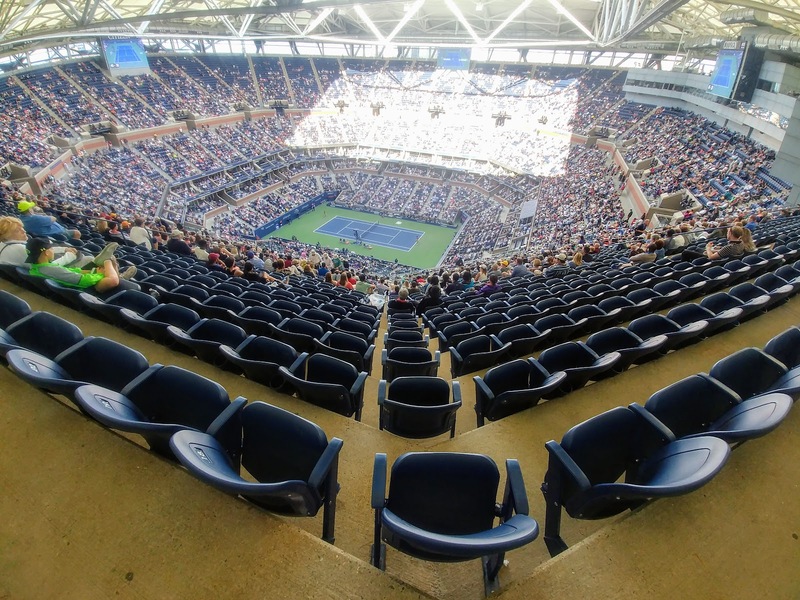 Who know that being a spectator could be so exhausting? After sitting for 3 days, I've officially had my fill of tennis. See you next year, thank you very much! I was wondering when you were there! It felt like we were there for a month..but yeah, it was just Thursday night, Friday and Saturday.